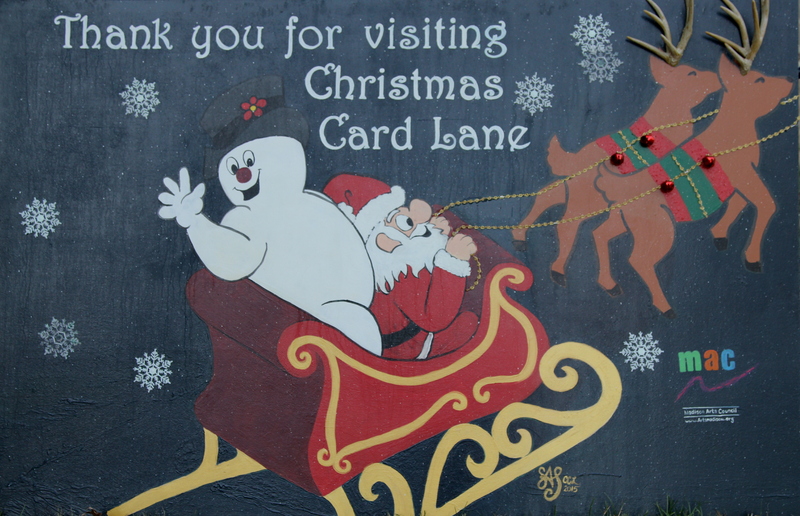 CHRISTMAS CARD LANE is an outdoor, life-size card exhibit located in the heart of Madison, AL. You’ll find whimsical, traditional, and religious themes among the many designs on display. We invite visitors to drive along Church and Front Street, in our historic downtown neighborhood, to enjoy this visual holiday delight! The cards will be illuminated for 6 hours after dark each night in the month of December. During the day, you may park on Main Street and stroll the sidewalks to admire the details of each design. Afterwards, cast a vote for your favorite card by “clicking here“. Many of our cards were created by local artists, who can create a one-of-a-kind piece for your home or office too.